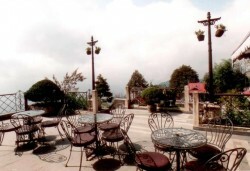 The Cedar Inn Terrace Café gives you breathtaking views of Darjeeling and the Himalayas. Tea, coffee and informal snacks are being served here. 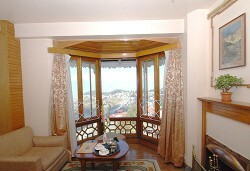 Tastefully decorated guestrooms, command breathtaking views of the magnificent Mount Kanchendzonga. Most rooms equipped with own fire place, bathrooms with bath tubs & showers, colour televisions with cable network, STD, ISD IDD facility etc. No comments by Fidel Kreuzer yet.